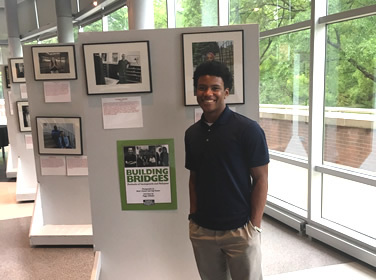 In May, Bullis School was fortunate to host a professional traveling photo exhibit, "Building Bridges: Portraits of Immigrants and Refugees." 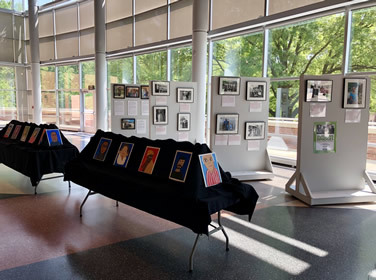 This exhibit is a creation of the Family Diversity Project out of Amherst, Massachusetts and includes photographs and interviews with people who have come to the United States from all over the world. The exhibit seeks to challenge damaging myths and stereotypes about immigrants and refugees as a way to prevent bullying and hatred towards this marginalized group of people. 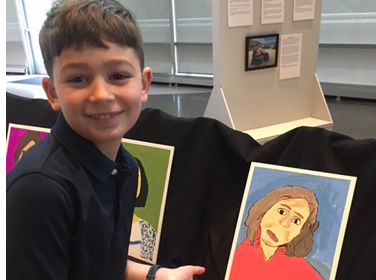 In addition, 4th graders displayed portraits of friends and family members that they had interviewed as part of a year-long study of immigration. This curriculum was developed by 4th grade teachers Jenny Campbell and Liz Jacobi. Each student conducted interviews, wrote a report, and painted a portrait. The project culminated with oral reports in front of fellow students and family members. The curriculum was recently recognized by the Global Education Benchmark Group who awarded the teachers the annual Global Expression and Thought Prize. 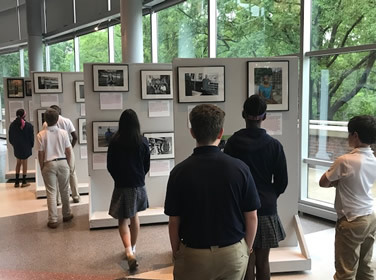 The goal of all three aspects of the exhibit was to generate empathy and understanding and encourage our students to explore the experiences of immigrants to America. 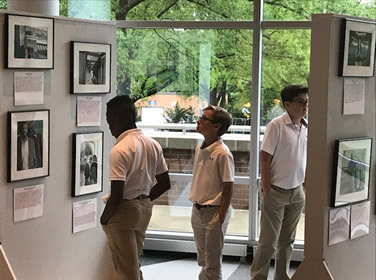 Over the course of the two weeks that the exhibit was on display, many classes visited and toured the exhibit, including students in the 9th grade Human Geography Social Studies classes and 6th graders in Geography class. The exhibit was made possible by a generous grant from the Parent Association.